High school students out collecting samples for DNA barcoding in Marine Park in Brooklyn, New York. Photo credit: Ryan Lauter. New York City and Cold Spring Harbor, NY — School field trips can help make classroom lessons come alive. In science, these trips might include hands-on experiments, where students act like “scientists for a day.” But while a day of pre-planned experiments can be fun and educational, it rarely comes even close to an authentic research experience. Cold Spring Harbor Laboratory’s DNA Learning Center (DNALC) has now made authentic science research experiences easily accessible, empowering teachers and students with training and tools to DNA barcode living things in their own backyards and neighborhoods. Like the unique patterns of bars commonly printed on consumer products, short DNA sequences can serve as unique “DNA barcodes” which can be used to identify species. The DNALC trains teachers to become gateways to student-directed, curiosity-driven science by becoming eligible to mentor students who want to pursue their own research projects. To date, 130 high school teachers have enabled 1,664 students to become citizen scientists through the DNALC’s Urban Barcode Project and Barcode Long Island programs. “DNA barcoding offers the opportunity for lots of students to do their own unique experiments in a school setting using the same tools. Students prepare their samples using a common biochemistry and analyze the information with common bioinformatics tools, which are now free and easy to obtain from the DNA Learning Center,” says David Micklos, executive director of the DNALC and senior author of a paper published today in the journal PLOS ONE. 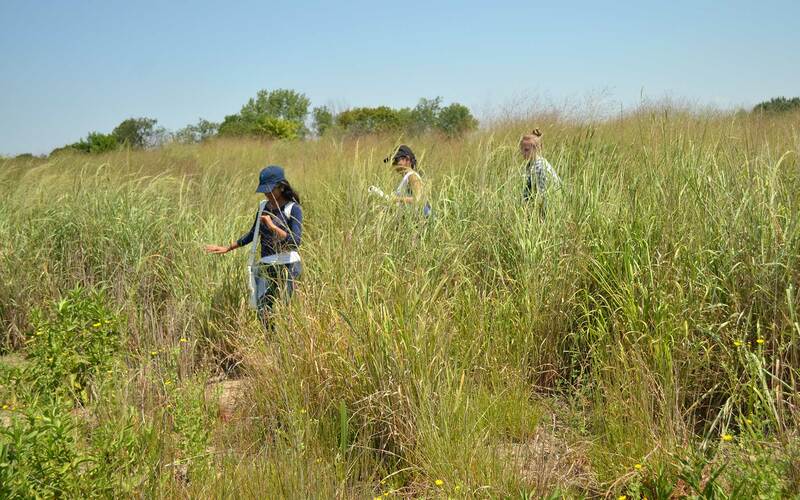 It reports the findings of 39 students from high schools across New York City, who investigated the biodiversity of Brooklyn’s Marine Park under the mentorship of nine teachers trained by the DNALC. David Micklos, executive director of the DNALC, went to the Philippines to train teachers in DNA barcoding. Measuring and monitoring biodiversity, as the students did for their research in Marine Park, becomes a particularly worthwhile application of DNA barcoding technology as climate change sets in. DNA barcoding can help students participate, as citizen scientists, in figuring out how climate change is shifting organisms’ ranges and affecting biodiversity. Teachers trained in the fundamental technique of DNA barcoding can mentor students as they become citizen scientists investigating what interests them most—whether that is cataloging local creatures or identifying what is really in the food they eat. Alfred P. Sloan Foundation; National Science Foundation; National Institutes of Health (through the Science Education Partnership Award (SEPA) and Big Data to Knowledge (BD2K) Program); Thompson Family Foundation; Pinkerton Foundation; Science Sandbox (Simons Foundation); Laurie Landeau Foundation. Marizzi, C. et al, “DNA Barcoding Brooklyn (New York): A First Assessment of Biodiversity in Marine Park by Citizen Scientists” appears July 18, 2018 in PLOS ONE. In 1988, Cold Spring Harbor Laboratory established the DNA Learning Center (DNALC) as the world’s first science center devoted entirely to public genetics education. The mission of the DNA Learning Center is to prepare students and families to thrive in the gene age. The DNALC is the largest provider of biotechnology instruction at the precollege level in the United States, operating six teaching laboratories in Cold Spring Harbor, Lake Success, and Manhattan. Each year 30,000 precollege students conduct hands-on experiments at the DNALC or receive intensive lab instruction from DNALC staff at their schools.